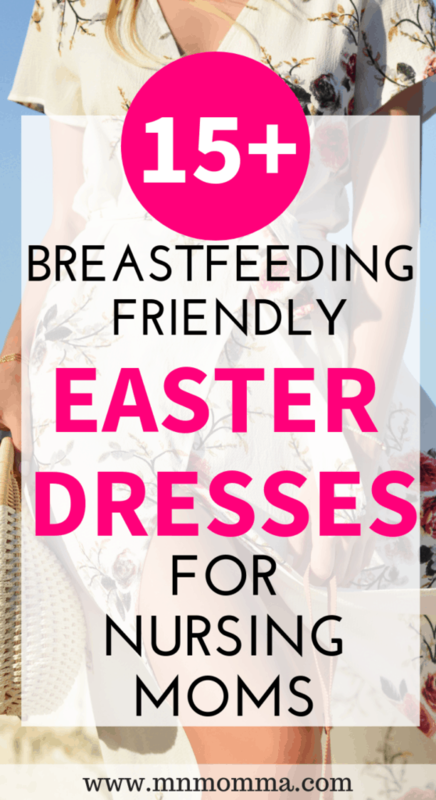 Have you been on the lookout for nursing friendly Easter dresses? 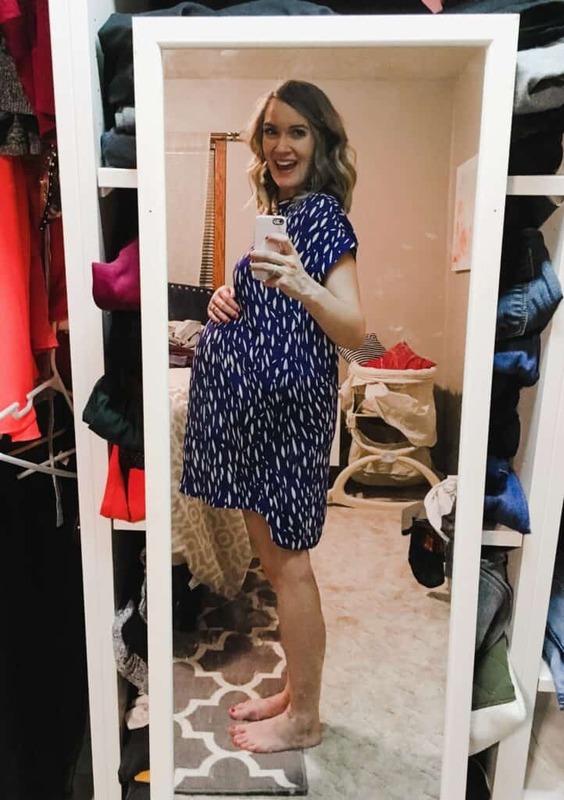 Aside from the amazing, but totally hard, work of being a breastfeeding mom – I find that it’s nearly impossible to find a great breastfeeding friendly dress. Sure, you could choose to go the skirt route, but sometimes you just want to wear a dress! 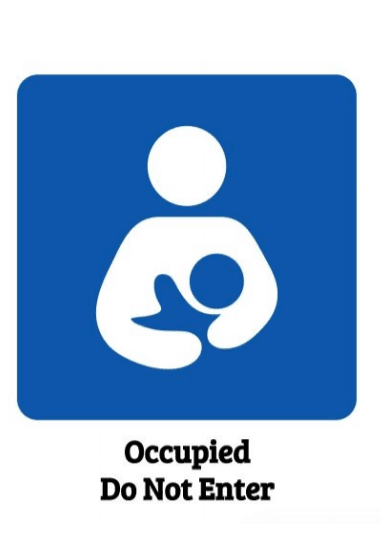 Pssst – one of the handiest things in my diaper bag is this little breastfeeding sign. Get the directions to make yours for free by clicking the button below! Get my FREE breastfeeding sign! 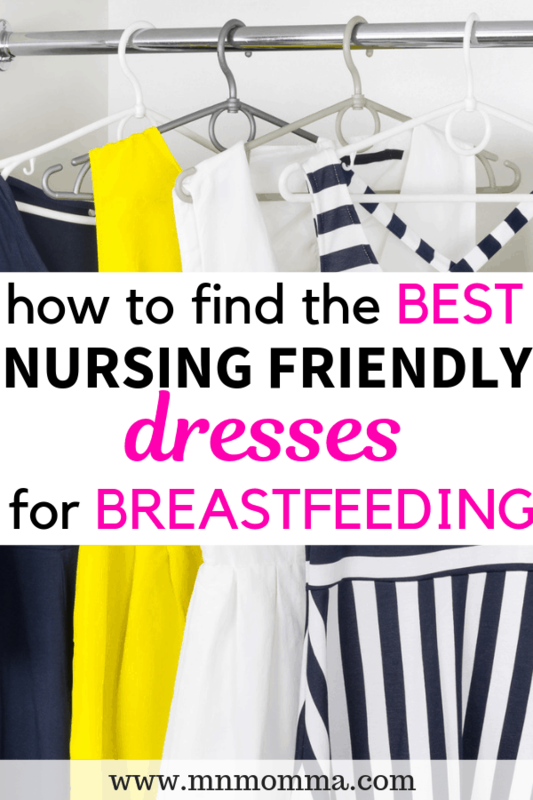 There’s a few easy tips to follow when looking for a nursing friendly dress, that almost all breastfeeding moms can agree on. With those key ideas in mind, there are certain dresses that will naturally lend themselves to being “good” breastfeeding friendly dresses. 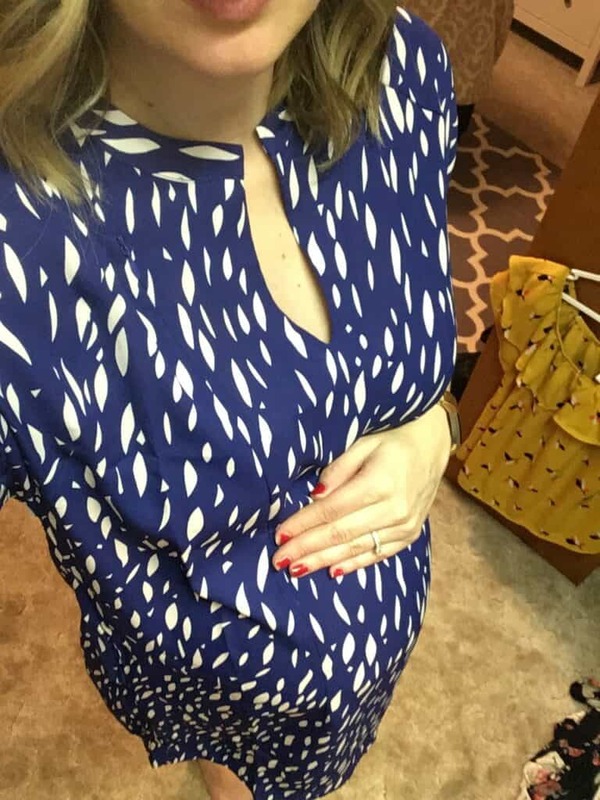 Wrap dresses are a saving grace for breastfeeding moms. You can easily adjust the top and neckline to feed your baby – and then just as quickly readjust your dress back to normal. 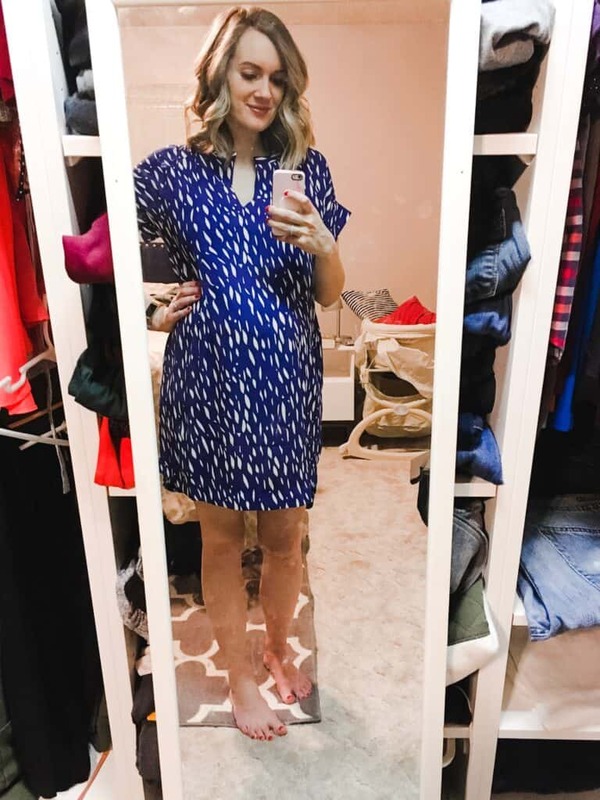 Almost all wrap dresses will work great if you’re looking for a nursing friendly dress! Some dresses are made specifically for breastfeeding moms. They have a split piece of fabric or a piece that is easily moved to allow you to nurse your baby. 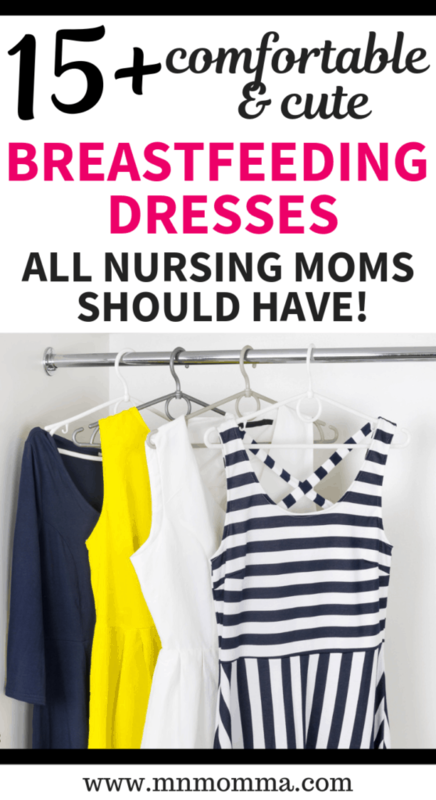 While some brands do a great job of making these dresses look normal, others can look and feel pretty obvious that they were made for nursing moms. While it’s completely up to you, I much prefer when the look is more subtle and appears to be a normal dress. If you have a dress with zippers or buttons down the front you may be in luck. You’ll have to check the placement of these details to see if they’ll really work to breastfeed – but it does give you another option. Some brands are also great at making sneaky little hidden zippers to allow your clothes to be breastfeeding friendly without making it obvious. If you find a scoop neck dress with the right amount of stretch you may be able to simply pull it down to breastfeed. While I don’t advocate for stretching your clothes out, this can be an easy option to consider with the right dress and the right material. 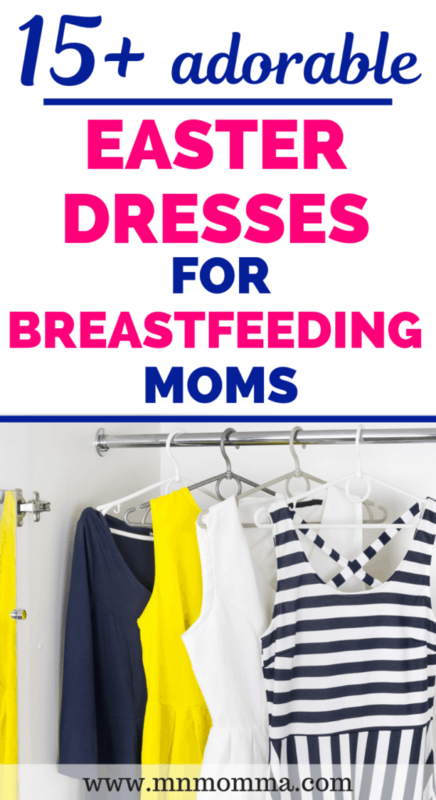 Because of the stretch, these dresses are often really comfortable for new moms as well! While you certainly don’t have to, I always feel more comfortable nursing my baby with a nursing cover over the top. It can take a little practice to feel confident in using a cover, but I like to not have to worry about maintaining a little extra privacy. Feel free to practice in front of a mirror or just in your home with your nursing cover, until you’re comfortable maneuvering it in public. Loyal Hana is a new brand to me. 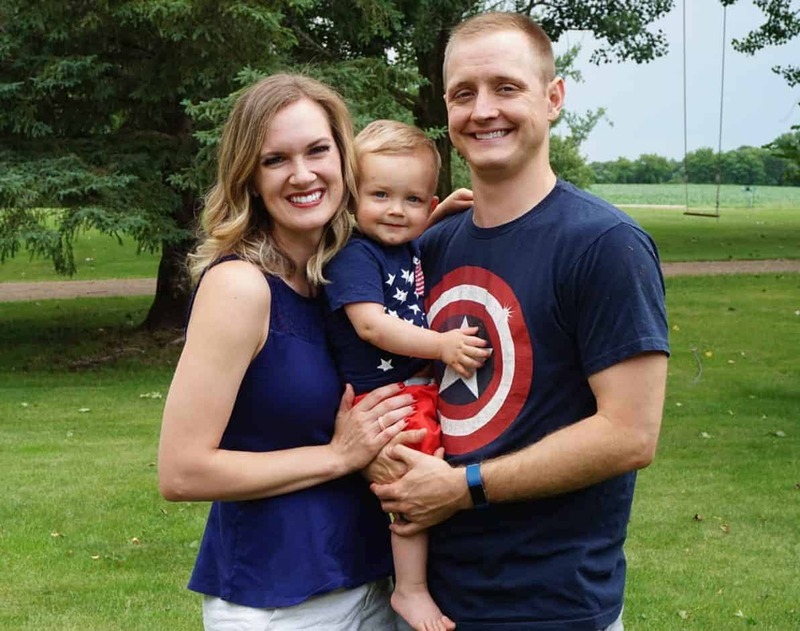 I hadn’t heard of them before, but once I stumbled across them – I loved how their nursing friendly clothing options didn’t look like nursing clothing. They offer discrete zippers that allow you to pump or breastfeed your baby without the hassle. I recently tried one of their dresses (this one to be exact!) in hopes of finding a great Easter dress that would be nursing friendly. Loyal Hana also offers basics and shirts, as well as other fun prints and styles of dresses. For my full review of the dress – click here. Keep in mind that it is a little more expensive, but I feel like the quality will hold up so it can be used again for future babies. Why did I not know that Old Navy had specific nursing friendly clothing? Not only are their clothes affordable, but they provide some great basics for easy pumping access. Unfortunately, there weren’t any specifically designed “nursing friendly dresses”. However, you can use the tactics talked about above, to find a cute dress that is easy to breastfeed in. If affordability is what you’re looking for – H&M provides some great options at reasonable prices. From nursing bras and basics to wrap dresses – H&M’s breastfeeding friendly clothing line will help you find something that’s not only cute, but totally functional. ASOS is another fun and stylish shopping option for breastfeeding and pumping moms. A quick search on their website brings up over 77 different styles of nursing friendly clothes – many of which are nursing friendly dresses. Woohoo! Shopping for clothing at Amazon can be a little scary. You don’t always recognize the brand and you can’t try the piece on before you order it. I have to admit, however, that recently I’ve tried a few different pieces from Amazon and have loved them! You have to be picky and know which brands to buy from. Shop with PRIME. Your shipping is always free, quick, and typically there are free returns. This means if that nursing dress you bought doesn’t look quite right, you can quickly send it back without having to worry about paying any extra. It’s like a dressing room in the comfort of your home! Use Amazon owned brands – typically the sizes will be more accurate and they’ll be included in your Prime membership. Currently I am totally in LOVE with this nursing friendly jumpsuit. Yes, I know, it’s not a breastfeeding dress – but it’s too cute not to include, and SO nursing friendly! 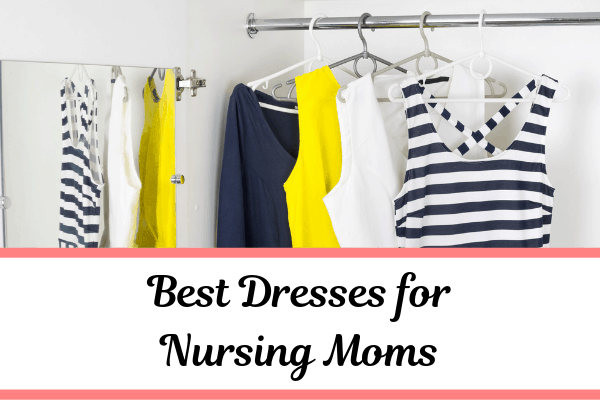 Keep in mind that the best dresses for nursing moms are going to be the ones that you’re most comfortable in. 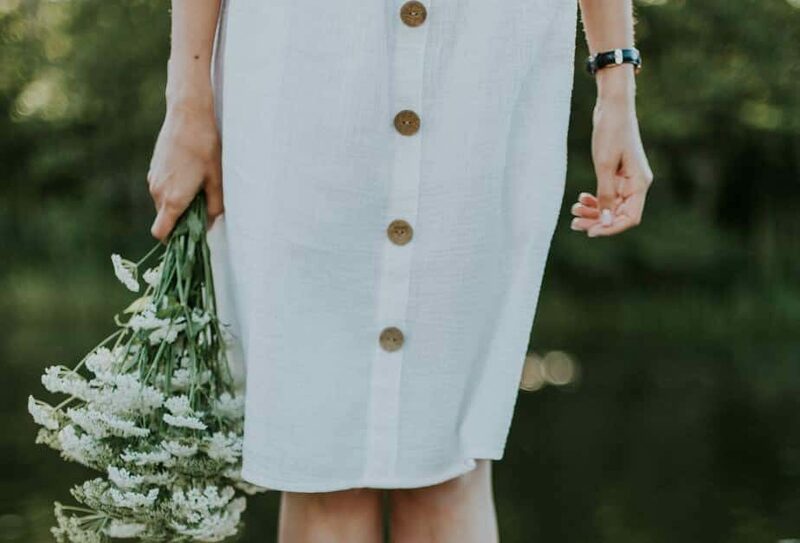 If you find yourself not comfortable with any dress, there are some super cute skirts and shirts that can always be your go to. If you have a favorite brand of nursing friendly clothing, I’d love to hear about it in the comments below!